Can volunteers who are neither in your store nor under your supervision bring you business? Yes, they can. When visitors come to Salem MA in October for our month-long Haunted Happenings celebration of Halloween, they do so armed not only with a printed map and an on-line set of references on cell phone or tablet, they also have direct, face to face contact with the Salem Main Streets (SMS) corps of volunteers whose goal is to direct those visitors to where they want to go in town so they will enjoy the visit. Last year alone the SMS volunteers at the Information Booth (situated at the major intersection of Essex & Washington Streets) assisted over 20,000 visitors during the weekends and holidays in October. That’s 20,000 potential customers for your Small Business. I asked Kylie Sullivan, Executive Director, Salem Main Streets if local biz benefit directly or indirectly by the existence of the info booth. 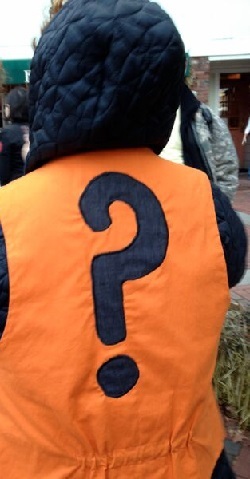 And right now, Salem Main Streets has issued an open invitation for new volunteers. 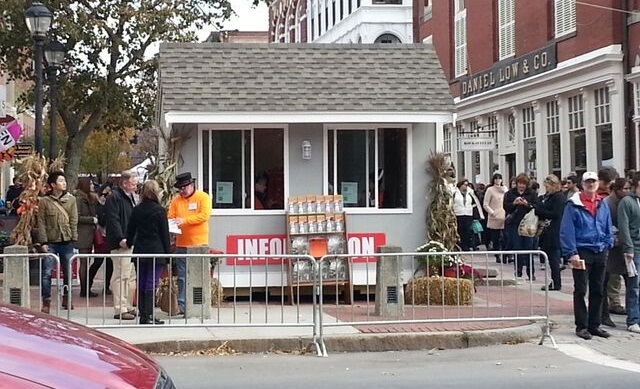 Any small business in Salem should help spread the word, as in then end the Info Booth serves regular businesses as well as Halloween-themed attractions. An orientation session will take place on Saturday, September 19 at 9:30 in the National Park Service Regional Visitor Center. For more information or to become a volunteer please contact Kylie Sullivan, Salem Main Streets’ Executive Director, at 978-744-0004 x15 or kylie@salemmainstreets.org. This program is a partnership between Salem Main Streets, the National Park Service, the City of Salem, Destination Salem, and the Salem Chamber of Commerce. When you’re a Small Business Owner you don’t always have the staff or budget to draw upon a local event to promote your products or services. Salem Main Streets volunteers provide that needed resource.